giving us some major love goals! How cute are these celebrity couples who are madly in love with each other and keep no fear to express their love in public! 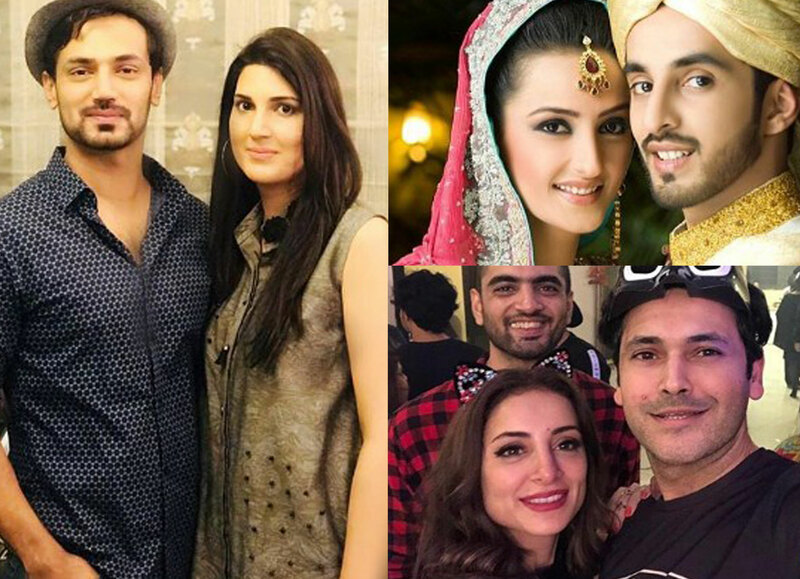 Here’re the top 4 Celebrity Couples Who Are Madly In Love With Each Other! 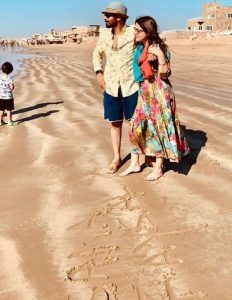 Momal Shiekh married at age of 32 with Nadir, and has a son Ibrahim, Momal just posted an anniversary note for Nadir, praising him for everything he did in these years. 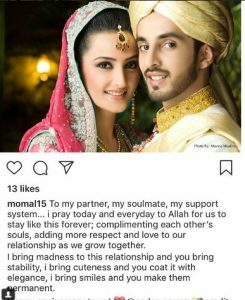 How cute is this, Momal Shiekh’s sweetest anniversary note on Instagramgram page is giving us major love goals! 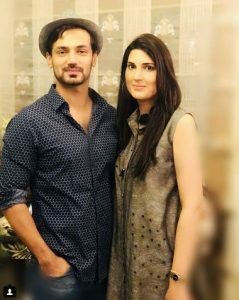 Zahid Ahmed & His Beautiful Wife! We all know Zahid and his inspirational story, his struggles and the success, today it’s not about Zahid, it’s about his wife who is extremely beautiful and mother of two, however, she looks very young and Zahid is very lucky to have a wife like her who supported him in the thick and thins. Faysal broke many hearts and shut many after his second marriage which turned the strongest and long-standing relationship, The couple, however, started the best patch of their life after the birth of Ayat in 2011. The couple, who was in a live-in relationship for five years before they got hitched, are parents of two but doesn’t look any older than their age. 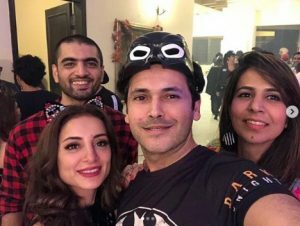 Also, last month Sarwat Gilani gave an interview to Samina Peerzada and opened every little bit about their marriage and the kind of relationship she has with Fahad. Extreme couples goals lead us to love them even more! So, are you already in love with our favourites? If not then you are missing out some serious couple goals. Top 3 Reasons Why You Can’t Miss Naulakha Tonight!